A CHANGE in the law is guaranteeing special equipment for people in Dumfries and Galloway who might otherwise struggle to communicate. 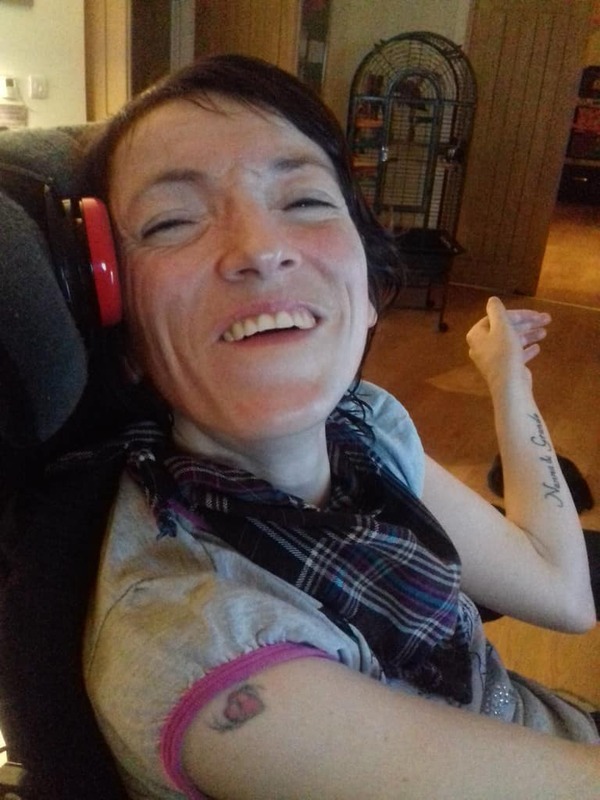 Dumfries and Galloway Health and Social Care Partnership is now taking on the duty to provide technology including the kind used by Rachael Monk, a 35-year-old from Annan with complex cerebral palsy. Rachael said: “I feel very strongly about people having the opportunity to get communication aids but also have the follow up support and training to use them. Rachael said: “My talker has changed my life. I can have conversations with my family and friends, ask people questions, tell jokes, express my thoughts and feelings and ensure my opinions are always heard. “I am able to chat to my best friend in Canada and tell her what I have been doing. The introduction of Part 4 of the Health (Tobacco, Nicotine etc. and Care) (Scotland) Act 2016 means that Dumfries and Galloway Health and Social Care Partnership now has a duty to provide both equipment and support. Associate Director of Allied Health Professionals Joan Pollard said: “Communications equipment and support for those who have difficulty speaking has changed lives. “And for the first time, legislation in Scotland now means there is a duty to ensure that children and adults can access the equipment and support they need to be able to participate fully in society. The new legislation, the Augmentative and Alternative Communication (AAC) Collaborative Health (Tobacco, Nicotine etc. and Care) (Scotland) Bill, is also being referred to as ‘Aikman’s Law’. The change in the law is credited to motor neurone disease (MND) campaigner Gordon Aikman, who died in February last year at the age of 31. Mr Aikman had been diagnosed with the progressive illness in June 2014. Launching the Gordon’s Fightback campaign he raised more than £600,000 for MND Scotland to fund research into a cure, while also campaigning for better support. And Rachael Monk says the technology should be easily available and commonplace. Rachael said: “I think everyone who can’t communicate verbally should have the opportunity to use a communication aid, it could change their life too. Next articleDumfries Youth Theatre Takes LGBT Play to Northern Stage in Newcastle.